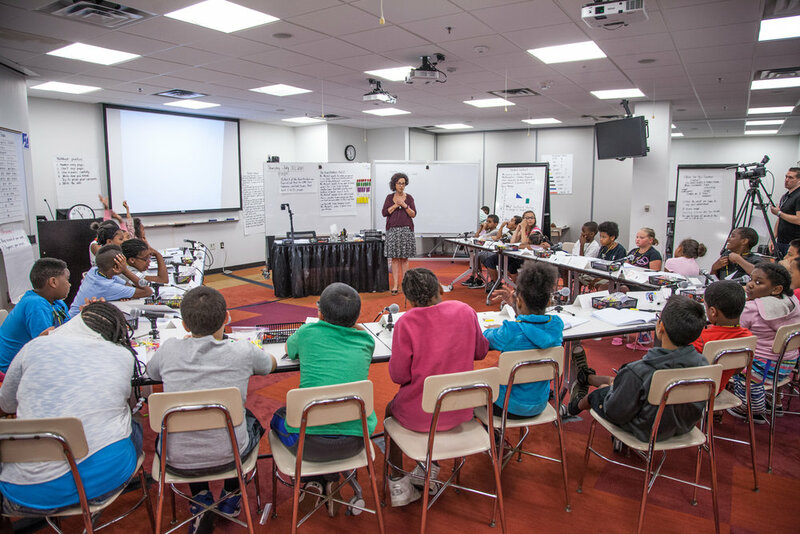 The 2018 Elementary Mathematics Laboratory (EML) will be held in Ann Arbor, Michigan, from July 23 to August 3. In this two-week program taught by Deborah Ball, approximately 30 children will work on complex mathematics—fractions (definitions, representations, placement on the number line), as well as reading, interpreting, and solving equations—and learn practices and techniques that include explaining, representing, proving complex claims, presenting in public, and listening to others’ mathematical ideas attentively, respectfully, and critically. The EML is structured to make it possible for educators, policymakers, and education advocates to engage directly in the close study of teaching practice. The unique laboratory setting provides participants with opportunities to delve into the complexity of teaching as well as develop specific professional skills. Over the past decade, Ball has developed skills of teaching in public that enable observers to analyze teaching. This public teaching is the centerpiece of the EML professional development program. Workshop attendees start each day with Ball and the instructional team in a “pre-brief” session before the class, in which they examine, discuss, and refine the day's lesson plans and strategies for the instruction. Attendees then observe the instruction in the classroom or remote viewing rooms. The group gathers after the class with Ball to debrief the class, ask questions, and review daily student work before attending afternoon workshops. For more information and to register, visit the TeachingWorks website.